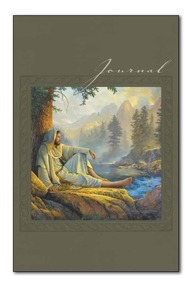 Begin your journey of self-discovery with the Life's Good guided journal. Life's Good is filled with thoughtful questions, scriptures, and inspiring quotations that give a gentle nudge as you contemplate and write about the past, the present, and your hopes and dreams for the future. Enhanced with colorful botanicals and lined for ease of use, this beautiful journal provides the perfect space for meaningful introspection and inspired writings that are sure to be treasured by you and your loved ones for many years to come.